In everything we do, we believe in setting new standards in client and candidate experience. We innovate, streamline and question in order to improve quality, communication and experience. By placing our clients at the heart of everything we do and using advanced and innovative technology Vero provides an outstanding level of service with emphasis on quality reporting and an enhanced candidate and client experience, combined with the ability to deliver faster turnaround times. Our range of screening services ensures that Clients and Candidates have a fixed point of contact and a user-friendly interface. 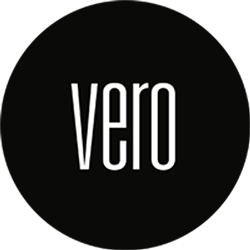 Adapting to clients HR systems and onboarding requirements, Vero provide high levels of customer service and have a market-leading, user-friendly interface which tracks each step of the way. Based exclusively in the UK, Vero service clients globally utilising bespoke time-zoned systems and in-house linguists covering 25+ languages. Designed to run alongside clients’ existing on-boarding programmes, Vero’s solutions help reduce administrative burden, improve retention and promote an open and honest culture within our clients’ organisations. If you would like to find out how your organisation could benefit please contact William Craig, on wcraig@veroscreening.com or by telephone on 01273 009 411. Buck is a global, integrated HR consulting, benefits administration and technology services provider. We offer a world-class portfolio of benefits advisory, analytics, outsourcing, engagement and communication solutions, powered by best-in-class technology, to help fulfil the pensions and benefits needs of you and your employees. At Buck, we’re exclusively focused on helping our clients and their people succeed together. We work with you to find the right combination of consulting, administration, and technology solutions to help you achieve the best organisational performance for your business, while driving positive health, wealth, and career outcomes for your people. We have extensive experience in delivering a range of services to clients across the legal sector, and so understand the specific challenges you face. We work with our clients to implement tailored, innovative solutions across health, risk and wellbeing, flexible benefits, share plans, and DB and DC pension schemes. All our employee benefit solutions can be delivered via our integrated benefits platform, Life Connect, bringing you a holistic, single platform for the delivery and communication of employee benefit programmes, talent management, and HR solutions, helping you to inform, educate and engage your workforce. Charles Cameron & Associates are leading mortgage brokers who specialise in providing free, on site, fully independent mortgage advice to both partners and employees of over 150 major companies, including over 40 law firms. In the current financial climate, companies are finding our services of real value, as never before have the services of a truly independent mortgage broker been more relevant and useful. We tailor our service to the financial wellbeing objectives of our partners and can offer educational seminars, workshops, online content as well as advice meetings and full application support, to assist all staff, no matter what their life stage, in making informed decisions on their finances. 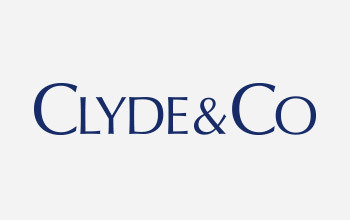 Clyde & Co is a dynamic, rapidly expanding global law firm, with a focus on the professional services sector and in particular on supporting law firms. Our employment team is dedicated to advising the companies and firms which it works with on all the ‘people’ issues that they face. With a focus on supporting law firms and accountancy firms on all their partner and employment issues, including hiring, assisting in change programmes, managing and resolving disputes when they arise (including partner disputes), and much more. Access' people management software supports every aspect of your people processes, from recruitment and onboarding to HR and payroll, with an intuitive set of applications that support your needs now and grow with you. 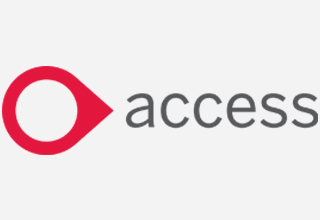 Access enables you to unite and optimise all of your people processes, with flexible apps that deliver what your teams need, when they need it. Powerful self-service, tailored dashboards and accurate business wide data combine to drive engagement, boost productivity and give you the freedom to do more for your people. Trendence Research (UK & Ireland) is the premier student-focused market research business in the UK and Ireland. Using data and insight from a range of our surveys, we help employers create a strategy to better recruit the graduates and school leavers they most want and to refine their attraction campaigns and activities in schools and on campus. Our annual Law Study uses a sample of c75,000 undergraduates from all year groups at 120 universities across the UK, with representative participation across all diversity groups. Whether it’s understanding what a student’s perception is of you and your competitor’s employer brand, improving your diversity balance or building a university/school engagement strategy to ensure you get the best ROI for your marketing, our research products can support you in achieving your objectives. Oakleaf Partnership are the largest and fastest growing independent HR recruitment agency in the UK, with specialist HR, Reward, Payroll, Human Capital Services and Part Time teams as well as regional teams, based in Birmingham and the Thames Valley. We recruit for our clients across every industry imaginable and in doing so partner with a hugely diverse range of organisations. We work across all industry sectors, both in the UK and internationally, establishing Oakleaf as the market leader by adopting a strong values-led business philosophy that we all live and work by. We are proud to be a Sunday Times Top 100 Best Small Company to Work For, the fourth year running with 3 stars for employee engagement, and 15th Best Small Company to Work For in London. We are also a Recruiter Magazine HOT 100 company. Recognising the nuances and current buoyancy of the market, Oakleaf have built out a Professional Services team which specialises in recruiting top HR, Reward and Payroll talent to Magic & Silver Circle, US and UK law firms. Since our inception in 1992 we’ve had a simple approach to recruitment; be the best we can and strive to exceed client’s expectations in everything we do. 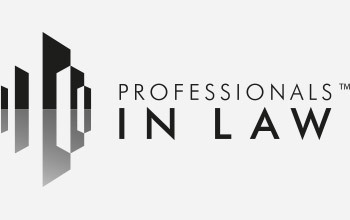 It’s an approach that has served us well and we are proud to recruit for many of London’s most prestigious law firms. We supply the vital business support staff who are essential for making sure their practices run smoothly and efficiently. Totum is the leader in law firm business services recruitment – passionate about the evolving role of law firm business functions in delivering, supporting and accelerating change during this period of transition for the legal sector. We know that today's law firms can only succeed with the best business skills and capabilities. That's why we specialise in business services recruitment, dedicating all of our resources to matching up the very best business talent from across industry sectors with law firms based in the UK, as well as on the international stage. Our specialist teams span all business services divisions, with our dedicated HR function here to help support the successful development of your team, from Recruiting Managers right up to Heads of and Directors of HR. We have placed individuals, often supporting their careers up to HR leadership or even COO level, and we have helped place HR teams applying our keen understanding of the evolving dynamics of this critical function. Whatever HR skills you need, at any level of seniority, we are on hand to deliver. We're a specialist people communications agency that creates, and delivers, all types of messages to existing, and potential, employees. Based in central London, we employ thirty professionals across a range of creative, digital and project management roles. Our creativity has been recognised by the CIPD Recruitment Marketing Awards, the RAD Awards, the Digi Awards and the TARGETjobs National Graduate Recruitment Awards. As champions of direct sourcing, Professionals in Law is the only legal job board to advertise all roles within a law firm. Vacancies come straight from law firms looking to connect with top candidates directly to promote their employer brand while making cost savings. Working with a diverse mix of firms from the magic circle to regionals, Professionals in Law supports HR teams in their direct recruitment efforts with hands-on account management.